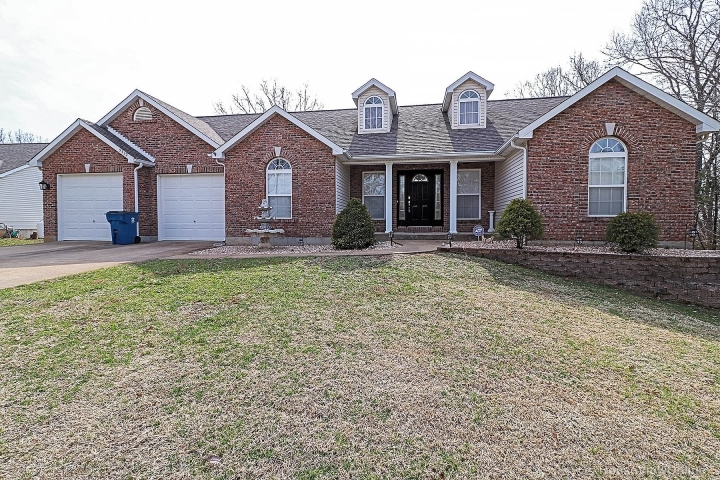 Stunning 3 bedroom, 2 1/2 bath ranch home with beautiful two story entry foyer. Home features a large vaulted great room with fireplace and wall of windows that over looks the deck and golf course. Formal dining room with beautiful hardwood floors, master suite with full bath and a large walk in closet. Home has a divided bedroom floor plan with two additional bedrooms and bath. Downstairs is finished with an office, half bath and recreational room, freshly painted with new flooring through out. Basement walks out to a large patio, landscaping has been updated with rock though out all beds for low maintenance. This home is ready for new owners to move in, sit back and enjoy all that lake living has to offer.